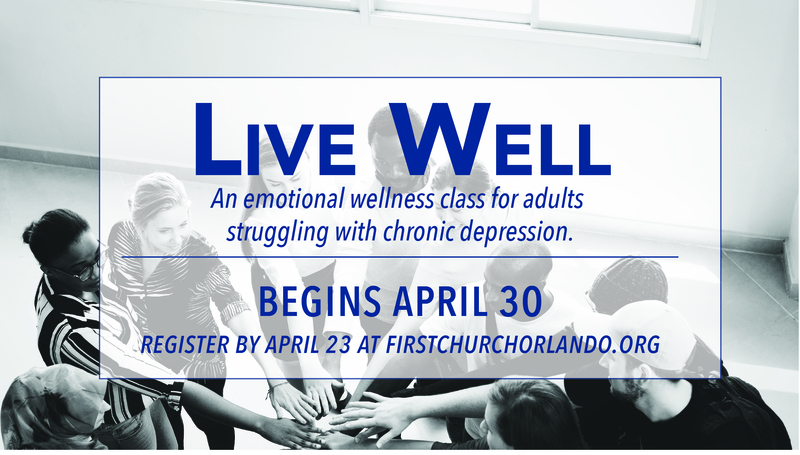 Live Well is an evidenced-based psychoeducational class designed for adults struggling with chronic depression. The eight-week class is primarily focused on science-based material, but also contains spiritual elements. There is no cost for this program. Register by Tuesday, April 23.